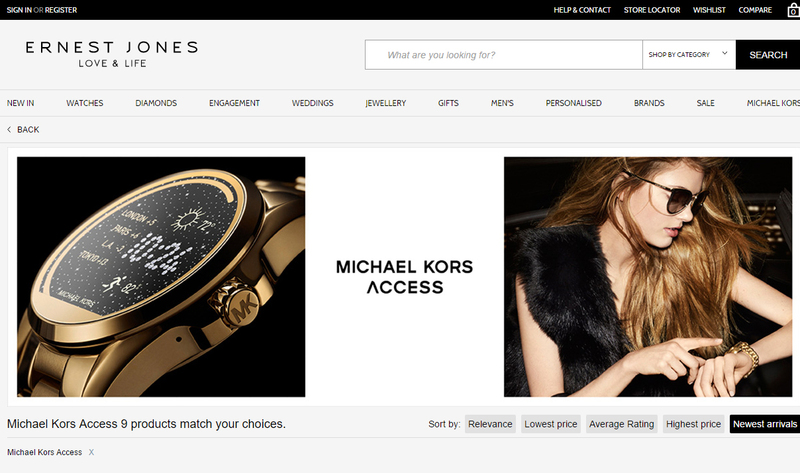 Ernest Jones has given the launch of Michael Kors’ Access range of smartwatches pride of place on its website today. 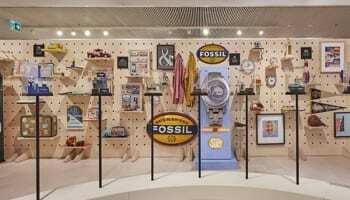 The placement is a coup for Michael Kors, which is looking to replicate the success of its rose gold watches, which have been the biggest selling fashion watches of the past decade. 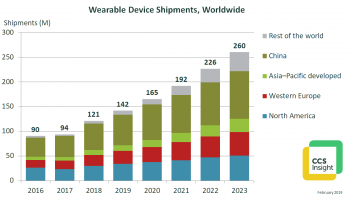 It is also recognition that the fashion watch market needs to present a fresh face in a year that has seen UK sales of watches in the £100-500 price range fall by over 10%. 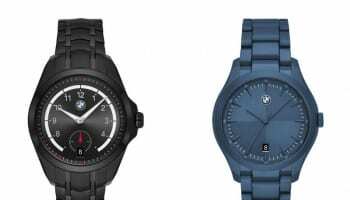 Ernest Jones has the full range of Michael Kors connected watches and fitness trackers on sale just days after they launched in the UK. The activity tracker wristbands are priced at £89 while the full-featured Access smartwatches are selling for £329. 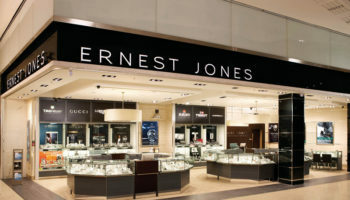 A mainstream chain like Ernest Jones stocking technically sophisticated smartwatches like the Michael Kors Access could be seen as a tipping point in the journey of connected timepieces from niche curiosities for nerds to mass market fashion must-have.